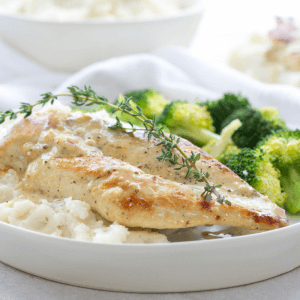 Creamy Honey Mustard Chicken is made on the stove top with a shallot, chicken broth, bit of heavy cream, garlic, dijon mustard, honey, stone ground mustard and boneless chicken breasts served over Idahoan® Mashed Potatoes. Add some roasted broccoli for a simple, yet delicious, family meal any day of the week. Feeding the family a good home cooked meal every night can feel like a chore at times, regardless if you enjoy cooking or not. 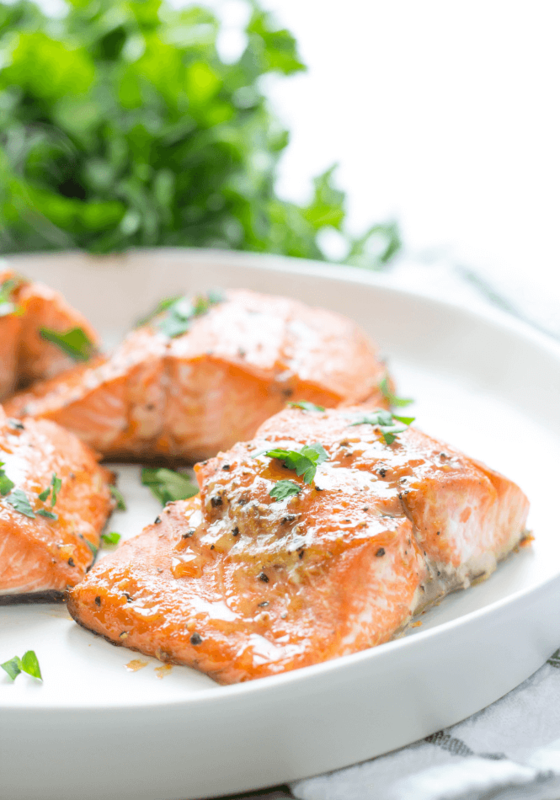 I rely on dishes that are convenient with simple ingredients but still taste amazing. Chicken is staple and something you will always find in my refrigerator and freezer because there are so many recipe possibilities. 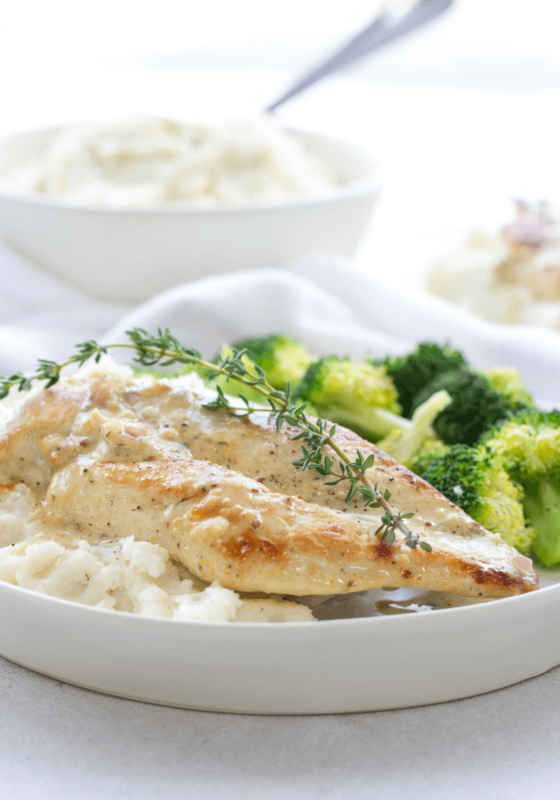 A new family favorite is this Creamy Honey Mustard Chicken served with mashed potatoes. Another item that is always is my house are Idahoan Mashed Potatoes. 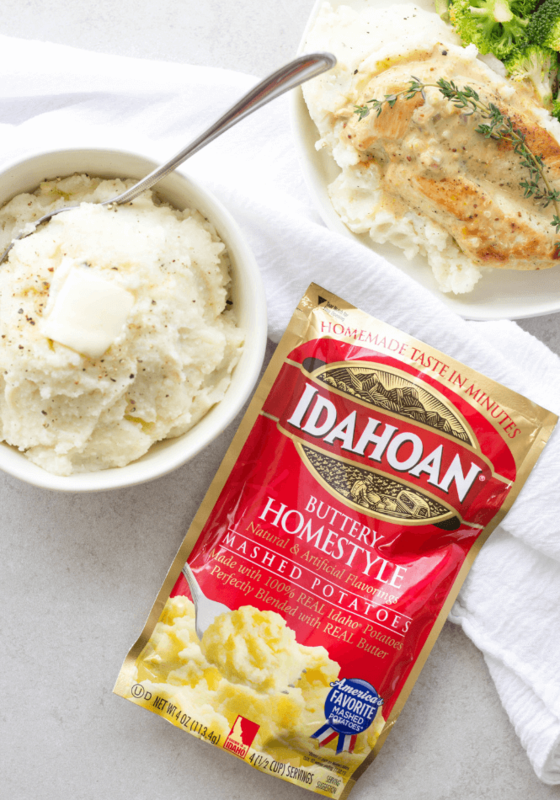 Idahoan Mashed Potatoes are perfect for when you need a side delivering a homemade taste on demand for Real Potatoes, Real Easy. I like to cook them on stove top where you bring a pot of water to a boil, add the potatoes and in a snap you have the perfect side dish any day of week. 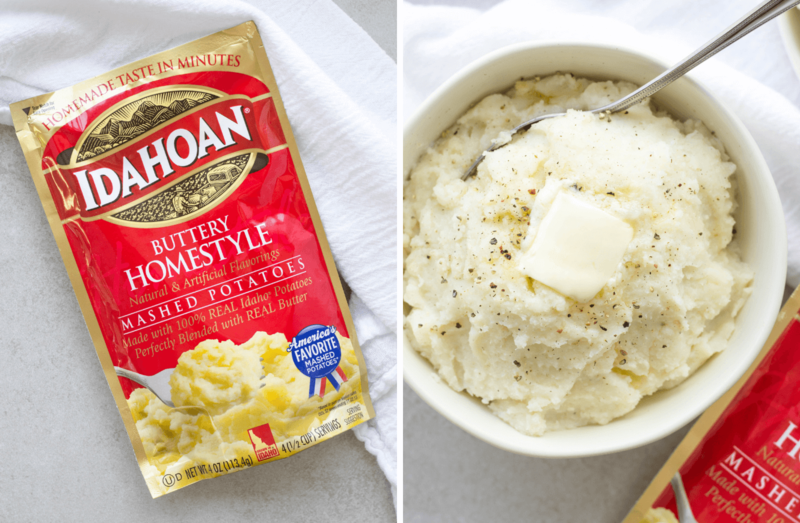 Why reach for Idahoan Mashed Potatoes? 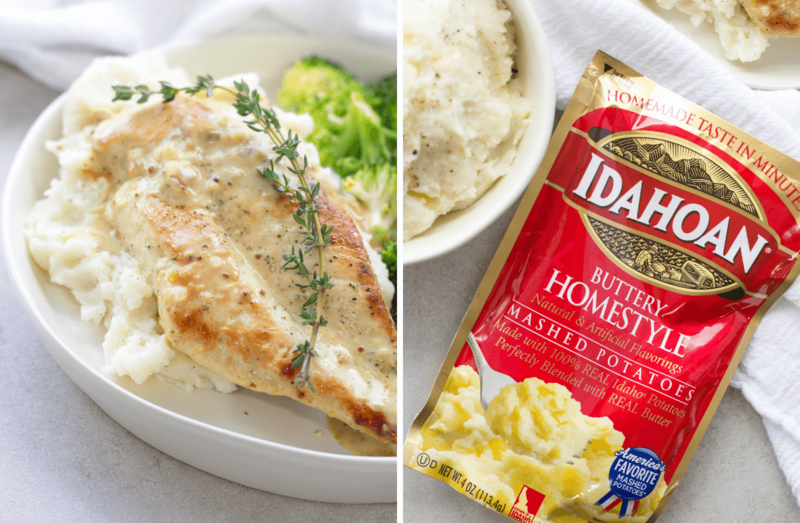 Idahoan Mashed Potatoes are made from 100% real Idaho® potatoes and can be on the dinner table in minutes. Idahoan Mashed Potatoes offer the best taste and texture compared to any other mashed potatoes, even earning the title of “America’s Favorite Mashed Potatoes” based in part on IRI sales data, 52 weeks ending Dec. 30, 2018. 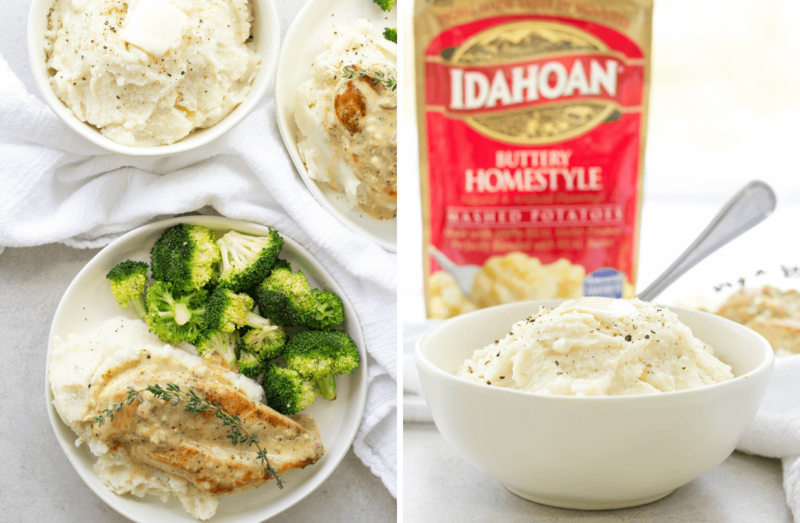 Get more recipe ideas and check out all the amazing Idahoan Mashed Potatoes flavors by clicking HERE. 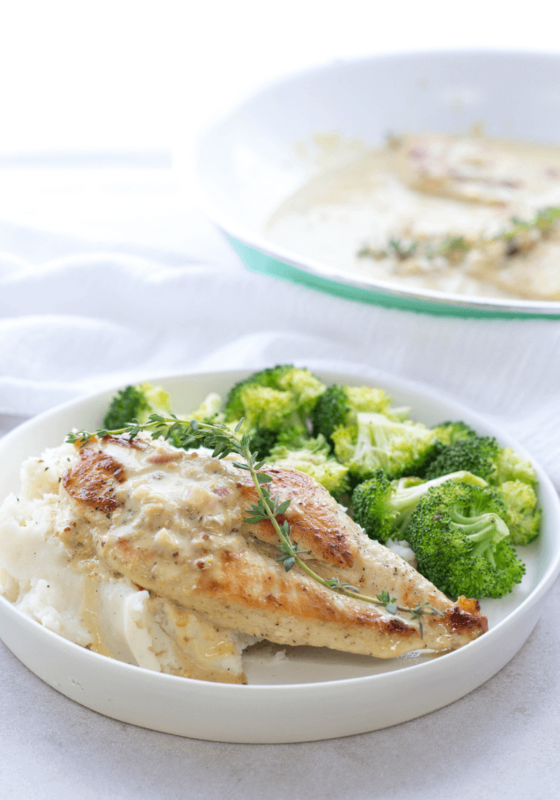 Creamy Honey Mustard Chicken is made with a sweet base with a that sharp mustard tone. 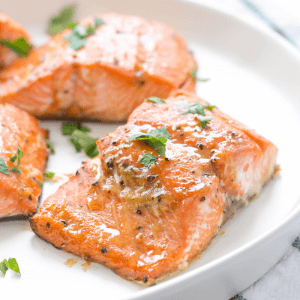 The heavy cream makes the sauce smooth and shallots and thyme add a more complex flavor that is really quite delicious. 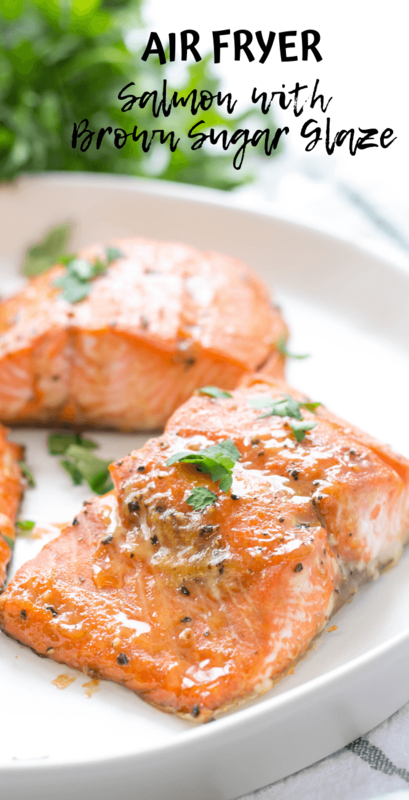 A good honey mustard has equal parts honey, dijon and yellow mustard. 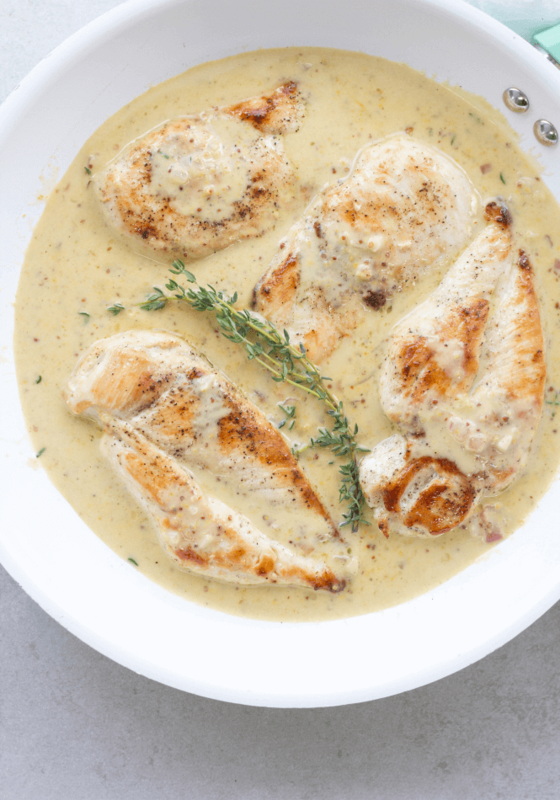 For this Creamy Honey Mustard Chicken, we swapped the yellow mustard for a stone ground mustard for a slightly more subtle taste, better texture and a more appetizing color in the sauce. A whole wheat mustard could also be substituted but may be more difficult to find. Filet two large boneless chicken breasts to make 4 pieces. Season each side of the chicken with salt and pepper. Mince the garlic and finely dice the shallot. Remove the leaves from a sprig of thyme. 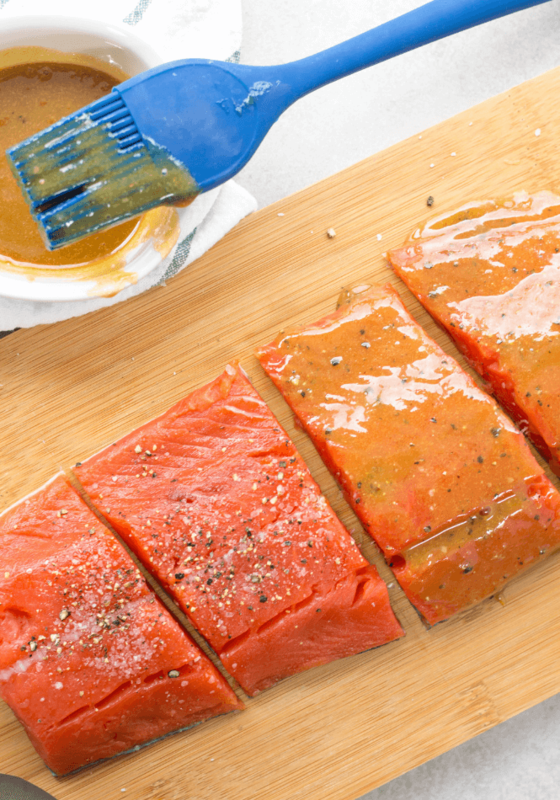 In small bow, mix together the honey, dijon mustard and stone ground mustard to make a honey mustard. 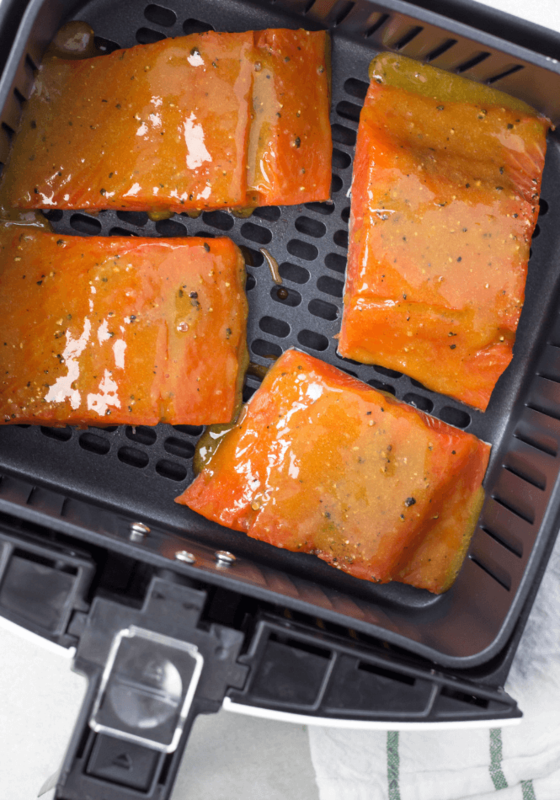 On the stove top - heat up a skillet to a medium-high heat. Once the pan is hot, add a drizzle of olive oil to the bottom of the pan and add the chicken breasts. Cook for 14 minutes or until internal temperature has reached 165 degrees, flipping half way through. 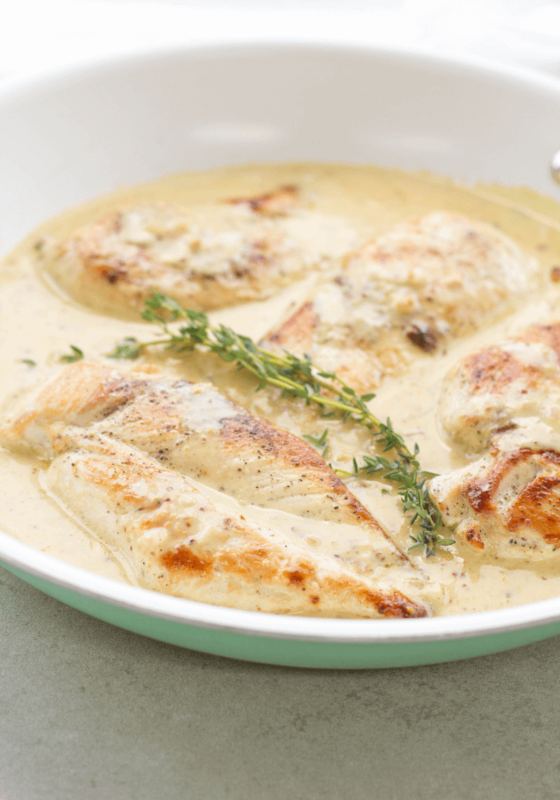 remove the chicken from pan and place onto a plate while you reduce the heat to a medium and begin the sauce. Add another drizzle of olive to the bottom of the pan and add your shallots. Season with salt and pepper. Stir and cook for 2 minutes. Add the minced garlic and cook for another 30 seconds making sure not to burn the garlic. Add the chicken broth, heavy cream, honey mustard mixture, thyme leaves and one thyme sprig to pan and bring to a simmer for 2 minutes. Add the chicken back to the pan and turn off heat. As the chicken cooks, start your Idahoan Mashed Potatoes in a pot. For the potatoes, add 2 cups of water and bring to a boil. Remove the boiling water from heat and add pouch of potatoes. Mix with a fork and let stand 1 minute. Serve the chicken over a bed of Idahoan Mashed Potatoes with a spoonful of the honey mustard sauce. Roasted broccoli is also a great addition for a complete dinner. Idahoan Mashed Potatoes are available in a variety of delicious flavors from Bacon & Cheddar Chipotle to Four Cheese or Roasted Garlic. 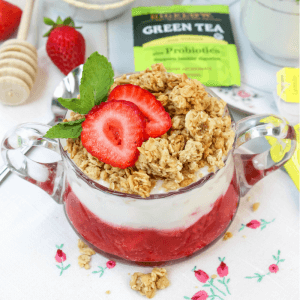 What is your favorite flavor and what does your family love to pair them with? Share in the comments below.